Bahrain Air filed for voluntary liquidation after being placed in “an impossible situation”, chief executive officer Richard Nuttall has stated in his first interview about the situation. “We had a good operation and were locally very much airline of choice for a number of destinations,” he commented during an exclusive chat with TheAviationWriter.com. 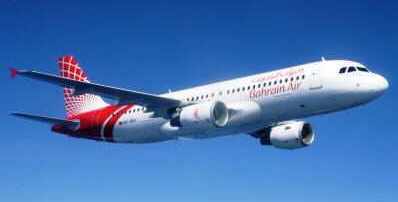 Bahrain Air stakeholders announced the suspension of operations last month, after struggling with the impact of political unrest in parts of the Middle East and North Africa (MENA), including its home country. The airline was instructed to suspend flights to several destinations in 2011, during Bahrain’s State of National Emergency, but official claims for compensation were apparently denied. It also declared a stalemate in negotiations with Bahrain’s Minister of Transportation (who is also an active board member of Gulf Air). “In a part of the world where almost every other airline is subsidized, and flying from a small Kingdom which is currently going through its own issues, it was always going to be difficult to be truly profitable,” Nuttall told TheAviationWriter.com. During the interview, Nuttall also discussed his opinion on whether Gulf Air would benefit from the closure of Bahrain Air, in addition to his own plans for the future. READ THE FULL INTERVIEW HERE and visit The Aviation Writer’s Facebook page here. According to media reports, the airline’s staff will receive a combined BHD2.2m (US$5.8m) pay-out after losing their jobs, while Bahrain national carrier Gulf Air had agreed to open recruitment to Bahraini pilots affected by the closure.